A (complete) 4 part series that digs into Rack, how to use it to handle incoming requests, how to create a templating system, and then how to extract common code to build your own framework. A test of Unicode improvements in 2.4.0 and how they’ve affected everyday Ruby operations and methods. A systemd-based script to run one Sidekiq process per core and watch memory consumption per process. Real-time security monitoring and protection for your Ruby apps. 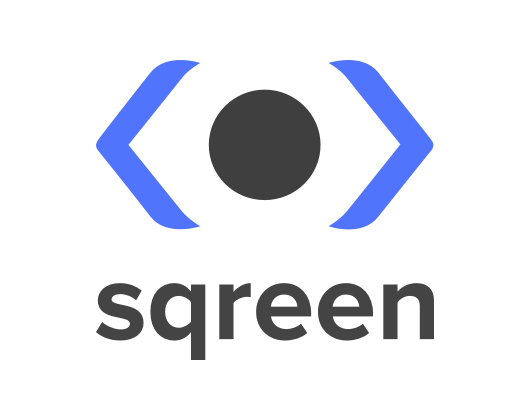 Sqreen detects and alerts you when your app is under attack. Get visibility into your app security and block attacks in real-time. Get up and running in minutes. Hanami is a modern Web framework for Ruby optimized for speed and security. This release marks a feature freeze and a stable API for 1.0. An example of using approval tests to verify the SQL generated by an ORM and why you’d want to do that. A year old but I wanted to re-shine the spotlight on Aaron Patterson’s awesome post that showed off some great examples of the art of ‘puts’-based debugging. An update on progress with TruffleRuby, a Graal and Truffle based Ruby implementation. Here we see how SubstrateVM (SVM), an AOT compiler, boosts startup times (Note: SVM is currently closed-source and can’t be used in production). A step-by-step guide setting up an architecture oriented around a broker with ZeroMQ handling the communications. A Pragmatic Bookshelf book that’s now in beta. Learn Elixir & Phoenix, building on your Rails expertise. Enter as novice, leave ready to build with Elixir. HdrHistogram is a library for recording values to a histogram with configurable precision. A description of 3.5 options and how to decide which one to use. The second installment in a series on how to read code, using ROM as the code base in question. How well do you know Ruby's exception system? This free book will take you from novice to expert. The UK Parliament’s petitions site during an anti-Trump petition drive, in particular. A reminder that it’s not necessarily because they are "destructive". An enhancement to Heroku Scheduler. A pure-Ruby (not Rails) implementation that works for single and multi-user scenarios. A Ruby gem that provides API and command-line options to encrypt/decrypt sensitive data and files.